Garn Isaf means “Lower Rock” in Welsh and has been a homestead since the 16th Century and perhaps earlier. It sits in a picturesque location just 5 minutes walk from the tiny fishing harbour at Abercastle and the famous 186 mile Pembrokeshire Coastal Path, with it’s magnificent scenery. 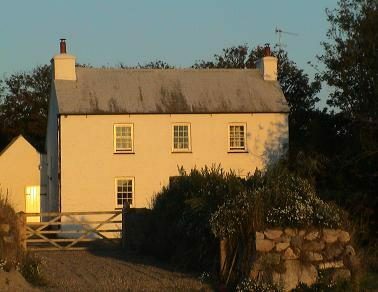 ‘Y Garn’ (The Rock), the main farmhouse was built at the start of the 19th century and has been beautifully restored as a 5 star self catering cottage with bed space for 6-7 people. It is dog Friendly and has Wi-Fi. 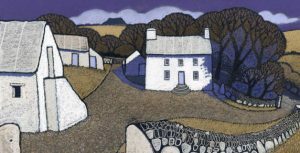 ‘Garn Isaf’ was originally a barn and pig shed used for sheltering cattle, pigs and storing harvested produce, including the well known Pembrokeshire potato. The building has been lovingly restored and is the Garn Isaf Guesthouse. ‘Garn Isaf’ has been awarded a 4 star guest house can be rented out as a large self catering cottage, Garn Isaf, 4 star self catering cottage. It has a bed space for 11+ people in 4 separate rooms. All the rooms are en-suite and are fashioned in a contemporary manner, using oak, ash, bamboo and limestone. ‘Garn Isaf’ is also dog friendly and has Wi-Fi. Lying within the Pembrokeshire National Park Garn Isaf is surrounded by stunning scenery and a plethora of wildlife habitats. We are in sight of ‘Carreg Sampson’, a Neolithic burial chamber. Legend has it that St. Sampson placed the headstone using just two fingers. A twenty minute drive away is Britain’s smallest city, the City of St David’s, named after the Patron Saint of Wales, its Cathedral is amongst the finest in the UK and is a World Heritage Site. Garn Isaf can be a peaceful retreat for quite contemplation or a place of inspiration for producing works of art, at the same time, it can be a base for the pursuance of a multitude of adventure activities and adrenaline sports on both land and water. There are both sand and pebble beaches nearby as well as many rock stacks and islands, all of which add to the artistic and natural beauty of the area. We can offer private rental, self catering accommodation in our farmhouse cottage ’Y Garn’ and barn ‘Garn Isaf’ Guesthouse. 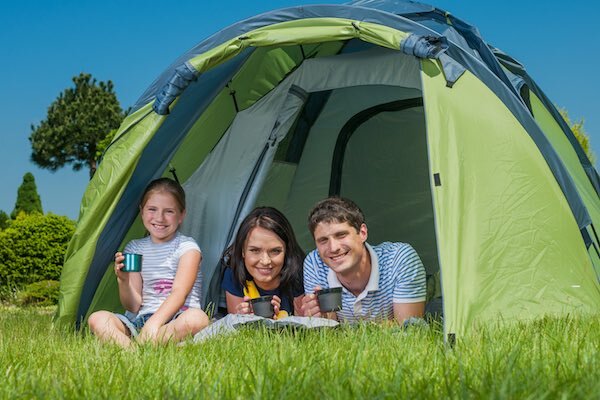 Throughout the year we also offer spacious grounds for camping holidays within our exclusive campsite ’Garn Gwely’. 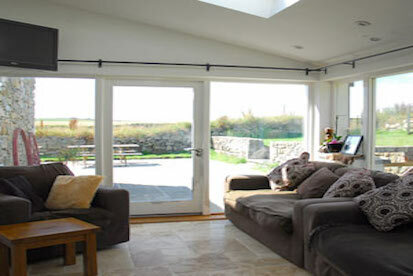 We can offer full board by prior arrangement, B&B and self catering accommodation as well as family camping. Take a look below at our accommodation options available here at Garn Isaf. Garn Isaf Guesthouse (Bed and Breakfast), provides cozy and modern accommodation, with bed space for ten people, all rooms being en-suite. Set within the heart of Pembrokeshire National Park, just minutes of the Pembrokeshire Coastal Path, Abercastle, while being close to St Davids. 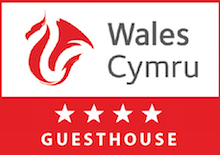 It has been awarded a Wales Tourist Board four star guest house rating. 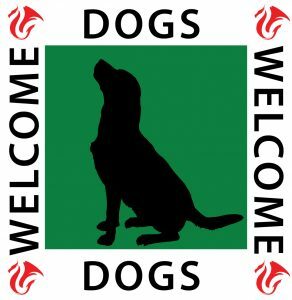 The guest house ‘Garn Isaf’ (Bed and Breakfast) is also dog friendly so please bring ‘Fido’ for a walk on the Pembrokeshire National Park Coastal Path. We also have Wi-Fi for guests to use. 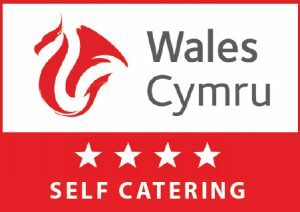 Y Garn is a five star self catering, dog friendly cottage offering quality accommodation just minutes walk off the Pembrokeshire National Park coastal path, at Abercastle, near St. David’s. A grade two listed farmhouse building which has been beautifully renovated, keeping many of the original features. 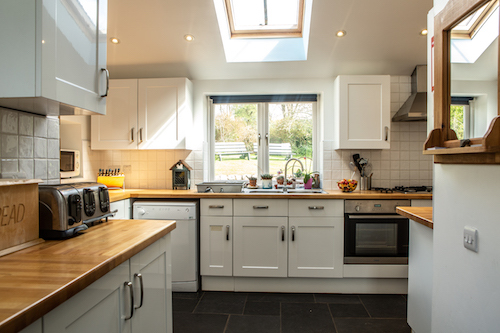 It comprises of; slate floors throughout the downstairs, wooden floors upstairs, wood burning stoves, a walk in shower room and a bathroom and bed space for 6 people. ‘Y Garn’ also includes Wi-Fi. Garn Isaf’s campsite, is our exclusive Pembrokeshire camp site ’Garn Gwely’ which offers spacious pitches which include campfire pits and picnic tables. It is surrounded by traditional earth banks which encourage wildlife to visit. At night, the sky is caressed by the loom of the Strumble Head lighthouse. Garn Gwely Campsite is set on the small holding of Garn Isaf, Abercastle. It sits in a picturesque location just 5 minutes walk from the tiny fishing harbour and beaches of Abercastle and the Pembrokeshire Coastal Path. Want to find out more about Garn Isaf? We’re happy to help!